Shoulder health has become a hot topic in the health and fitness industry due to the rising number of shoulder injuries seen in young adults. Improper and unstable movements of the shoulder joint is a major contributor towards these injuries. Overhead pressing exercises create strong healthy shoulders and help encourages a full range of motion. From this position, set your stance to roughly shoulder width with your feet pointed forward or out no more than 15-30 degrees. Keep the dip brief and controlled- only bend your knees enough to extend forcefully. 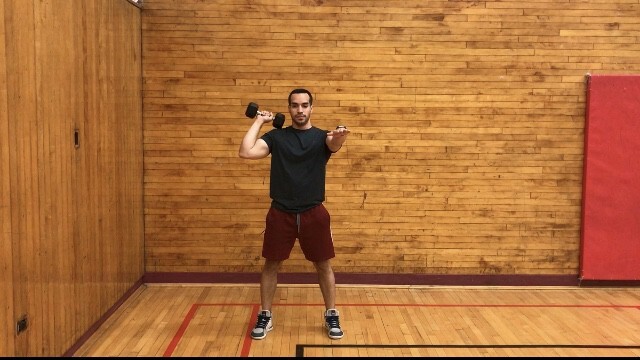 HOW CAN I INTEGRATE THE DUMBBELL PUSH PRESS INTO MY TRAINING? 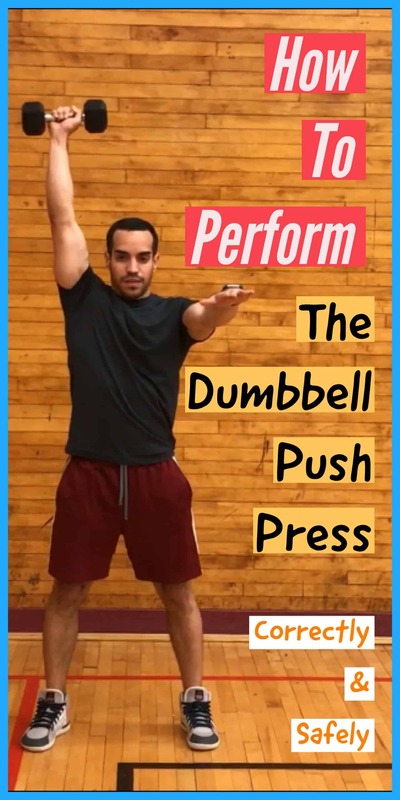 Check out The WCT Best Workout Template For Busy Professionals to find a simple way to add the dumbbell push press and other great exercises into your routine.